Here is a pic I objected via FOIA, showing the very beginning of the Feb. 28 firefight in front of the building. 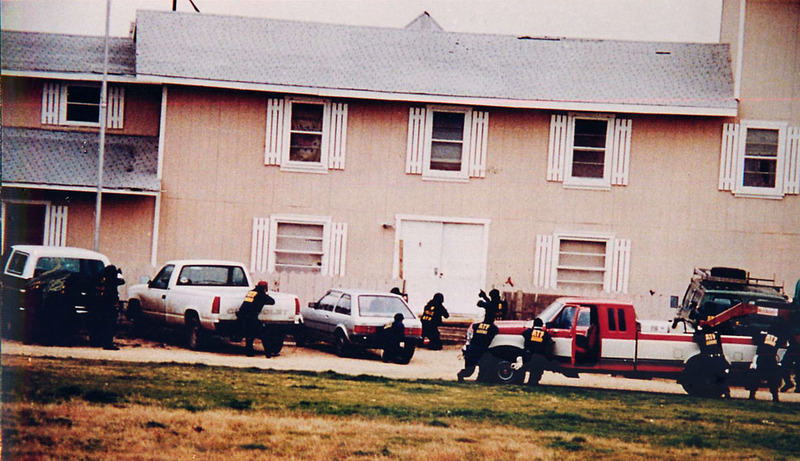 The surviving Davidians (who were at the front of the building) said the first shots involved BATF firing through the double doors. The photo shows three agents kneeling and apparently shooting at the double doors. There are also bullet holes, barely visible, there and elsewhere. The agents' "cover" doesn't seem to match claims that the Davidians deluged them with gunfire.